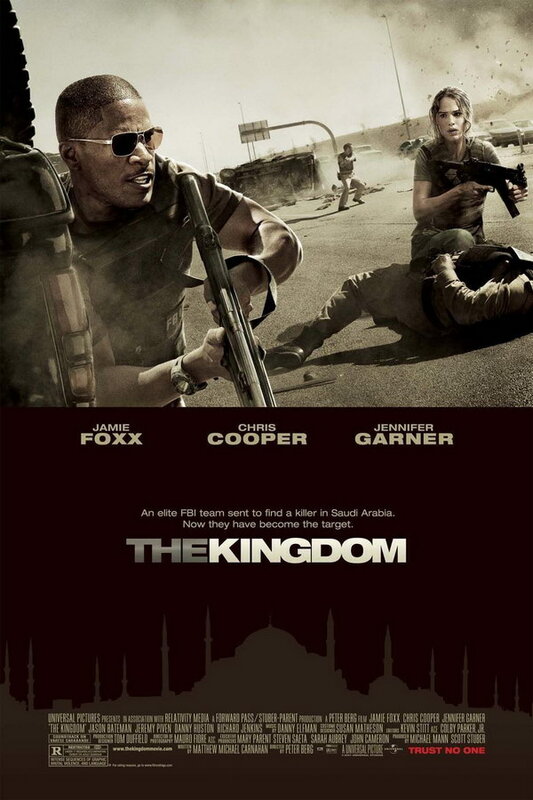 The Kingdom font here refers to the font used in the poster of The Kingdom, which is a 2007 action movie that follows a team of FBI agents who investigate the bombing of a foreign-workers facility in Saudi Arabia. The font used for the movie title in the poster is probably Helvetica 93 Black designed by Max Miedinger. The font is a commercial one and you can purchase and download it here. In addition to The Kingdom, Helvetica typeface is also used in the following logos, movie posters or album covers etc., including: Alien: Covenant, Epson, True Lies, Grey’s Anatomy, Funimation Logo, Mad Men, Arm & Hammer Logo, The Dirties, Project Gotham Racing, Five Guys Logo, Adult Swim, USOC Logo, 2 Guns, Blood Diamond, Vetements Logo.